All of our patients are special. Your patients, my patients, and that doctor in Florida whose name I can never seem to remember has special patients, too. They come from all different backgrounds and different walks of life, all seeking help with their particular challenges, and one working just as hard as the next. They may be struggling in school or with trying to pass a driving test. They may suffer from dizziness or experience frequent headaches, or they may have even suffered a serious head injury and are looking for ways to clear the fog; whatever their particular reason, they look to us for help. They are all special in their own way, and they all deserve nothing but our most dedicated, thoughtful, and focused therapy each and every time. Every once in a while, though, one stands out, and has a story which needs to be told. That’s why I’m here today. I first met Jackson when he was 22 months old. 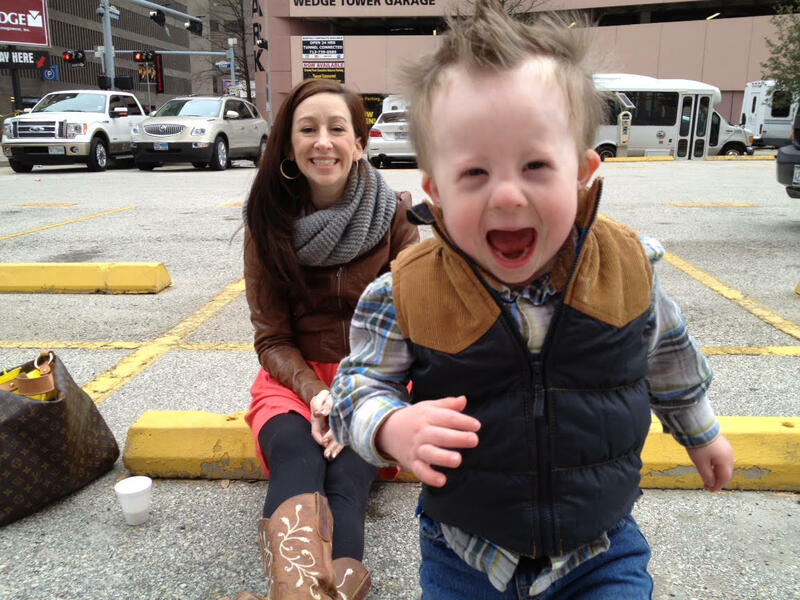 Diagnosed with Down’s Syndrome, at the time we met he didn’t speak, could barely stand on his own, and was in the midst of a series of medical tests, which later on would render a diagnosis of a spectrum disorder. You may recall, I wrote about a conversation I had with Jackson’s dad here. Jackson is now 6 years old and has been a regular in my VT room for the last few years. He is walking, engaged most of the time, and enjoys coming to see me almost as much as I enjoy having him. Jackson greets me with a hug, says goodbye in the same way, and has a belly laugh which lights up the entire room. He is still classified as non-verbal, although he does own a few words – yes, nope, dammit, and sh*t – for those keeping score, and you should know, nothing brings a smile to my face faster than hearing a “yes, dammit” when I ask Jackson if it’s time to try something else. He is my buddy, without a doubt. 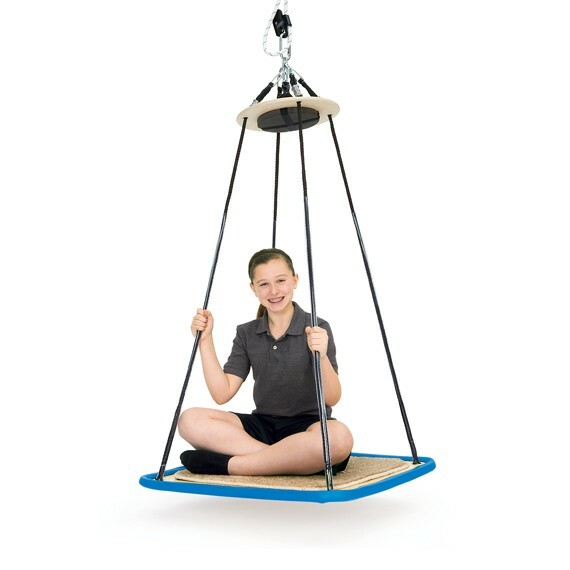 We are lucky enough to have a platform swing in our office, similar to the one pictured above, which we use it for all sorts of patients. Some kids like to read a Hart Chart while swinging, sometimes we use it to slowly spin patients, and sometimes when someone is having a bad day we allow them to swing for a moment or two just to reset. Jackson would be an example of using it in all three situations. 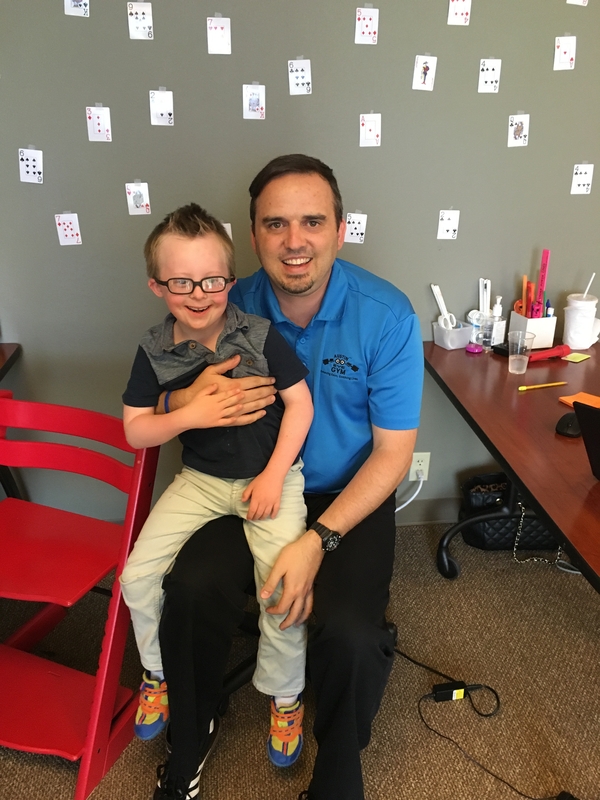 Among his other visual challenges, he is diagnosed with congenital nystagmus, has challenges with most activities involving VOR and balance, and when he gets frustrated is soothed by a few moments on the swing. Yesterday we were working on a block stacking activity, similar to Jenga, for those familiar with the game. Aside from the visually guided motor skills, we work on spatial awareness and organization with these blocks mostly because it’s what works best with Jackson. On a good day, he can be successful, and on a bad day it frustrates him quite a bit. We do what we can, and when Jackson is done, he’s done. Remember how I wrote Jackson has been coming to our office for quite some time and has almost exclusively worked with me? Well, with that, it’s fair to say he knows me as well as I know him. And although he doesn’t speak, he laughs, loves, and plays jokes with me all the same. His favorite joke of late consists of sneaking up behind me and sticking whatever he can find in my pockets, hoping I don’t notice. And just so we’re clear, I play along every time, just to hear him crack up. Yesterday was a particularly good day for Jackson, until I pulled out those dreaded blocks. He knew what was coming, and although to his credit he did give it an 8 second attempt, he wanted nothing to do with my blocks. He started to get upset, then quite uncharacteristically stopped himself, looked at me, and said “I want to swing”. Jackson repeated himself, twice. There were two other therapists and their patients within earshot of Jackson (everyone in our office knows Jackson’s story and we all love him), and the entire room froze. Jackson stood up and starting dancing around the room, turning his “I want to swing” into a completely out of tune melody which was nothing short of beautiful. We were ecstatic. There’s no greater feeling in VT than sharing in our patients’ success. They work hard, they yearn to get better, and they all seem determined to find a path leading them to a better life. We owe them everything we can muster, and every once in while, we come across a patient who will teach and give us more than we could ever hope to offer them. Sometimes Vision Therapy is a puzzle piece in their overall success, and sometimes, it’s safe place where we help patients put it all together. Jackson is no different. He just likes to swing more, and for the first time decided to tell me about it. Want to read more ideas and thoughts like this one? Please join my Vision Therapy: Insight Out book project by clicking here! Posted on February 1, 2017, in From My Perspective.... Bookmark the permalink. 3 Comments. Robert it has been one of the great gifts to my life to have the opportunity to know you. You totally rock! Thank you, Linda. Your kind words and wonderful friendship mean more than I could ever express. I feel the same way about you! I love his vocabulary! Short, simple, and to the point… Yes, dammit, I want to swing!